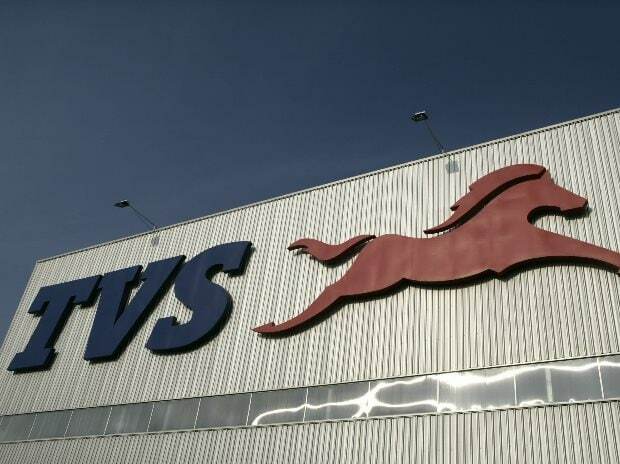 The TVS Motor stock was on Friday up nearly four per cent intra-day on volume performance in May, which beat analysts’ estimates. While the company’s two-wheeler sales was up 15.6 per cent year-on-year at 282,000 units, scooter sales were up 31 per cent. 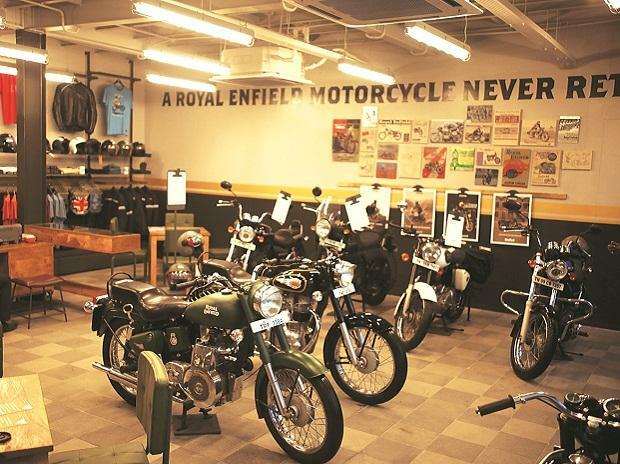 The motorcycle segment grew by 22 per cent to 118,000 units, against estimates of just over 100,000 units. Exports grew by 14 per cent. Going ahead, the company is expected to do well on the back of an improvement in export volumes after the recent tie-up in South America and outperformance in the domestic market on new launches. The company is looking to launch a new 110cc scooter with an aim to boost its scooter market share. The new scooter is expected to be priced at a premium to the Scooty Zest. In addition, the company has recently launched the BS-IV compliant version of the Jupiter scooter, with more colour options at the same price, which is expected to boost sales of the brand, say analysts at Sharekhan. In addition, the company also has the Scooty Pep+ and Wego brands in the scooters category. The four brands are helping the company post strong numbers. In addition to a new scooter, the company is expected to launch a new motorcycle in FY18. Refreshes and new launches are expected to keep the sales momentum strong. In fact, the company has targeted a 150-basis point market share gain in FY18 on new launches as well as improving sales of two key brands, Apache and Jupiter. 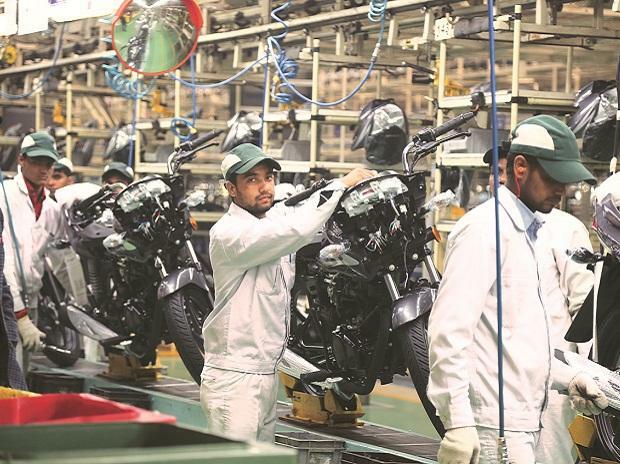 While two-wheeler sector volumes are expected to grow at six-eight per cent in FY18 on the back of normal monsoon and economic revival, analysts estimate TVS Motor to do better at about 12 per cent growth. The Street will also keep an eye out for export performance given the recent tie-up with Masesa to market its products in the Central American region. Exports is a key part of the company’s strategy and is growing faster than the domestic market. 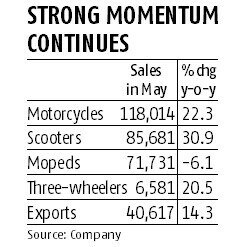 Two-wheeler exports in April were up 44 per cent while they were up 28 per cent in March. Exports account for 16.3 per cent of the company’s volumes. 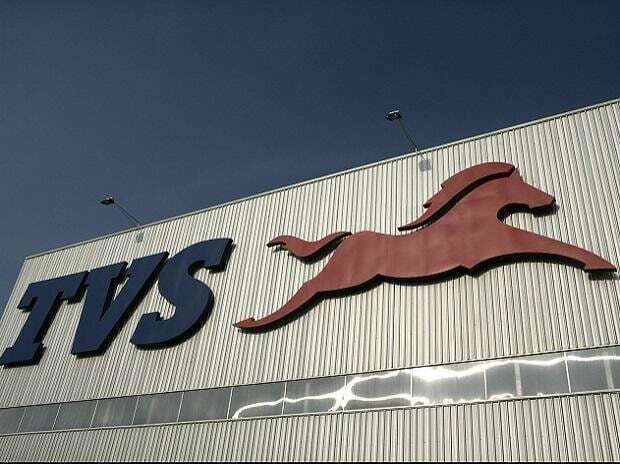 While the company should be able to outperform the domestic market, earnings over the next couple of quarters will be crucial as TVS Motor hopes to achieve operating profit margins of 10 per cent. The number for the March quarter was 7.7 per cent while that for FY17 stood at 7.5 per cent. While volume growth is strong and average selling prices are expected to inch up marginally, a large part of the margin gains are expected to come from better operating leverage. At the current levels, the stock is trading at 30x its FY18 earnings estimates. Given these valuations which are at a premium to better-established names, investors should await improvement in the margin numbers before considering the stock.